I know how much you are missing pasta right now. You started Keto and you don’t know if you’ve made a tragic mistake living the rest of your life without pasta. It’s a difficult time, but we can walk through it together. 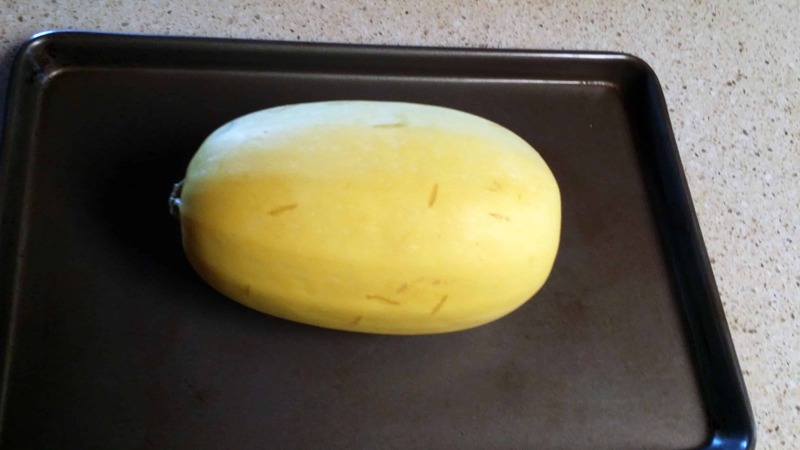 Me and you and some spaghetti squash. 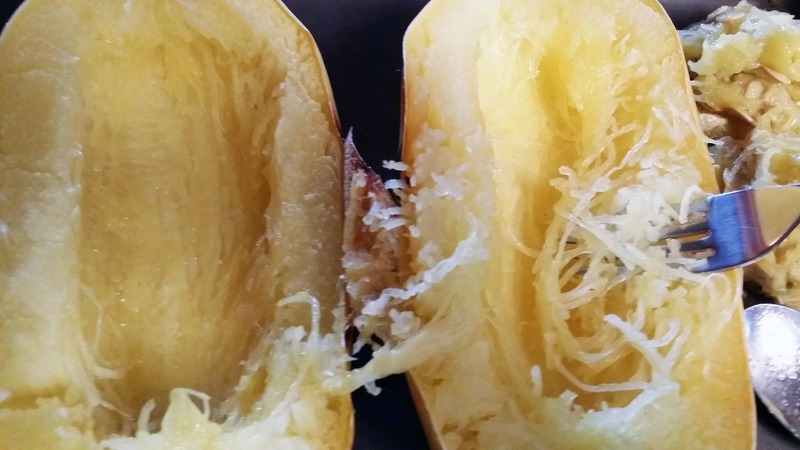 But what the heck is spaghetti squash anyway? I’m tellin ya, people are missing out! Originally from Central America and Mexico, they grow very well in most southern climates and are incredibly easy to store for long periods. 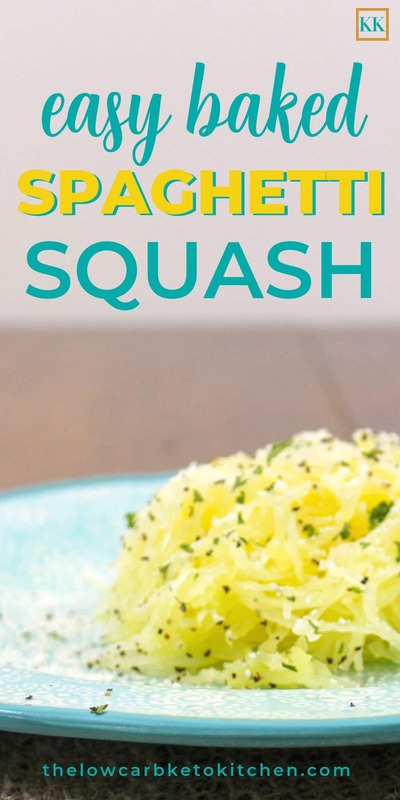 Spaghetti squash is loaded with fiber and beta-carotene, and is a good source of Vitamin A, potassium, iron, and niacin. It also has complex carbohydrates. Not as much as pasta, but enough that anyone on a keto or low carb diet should be careful about serving sizes. When cooked, the flesh of the squash separates into strands like angel hair spaghetti. Hence the name. 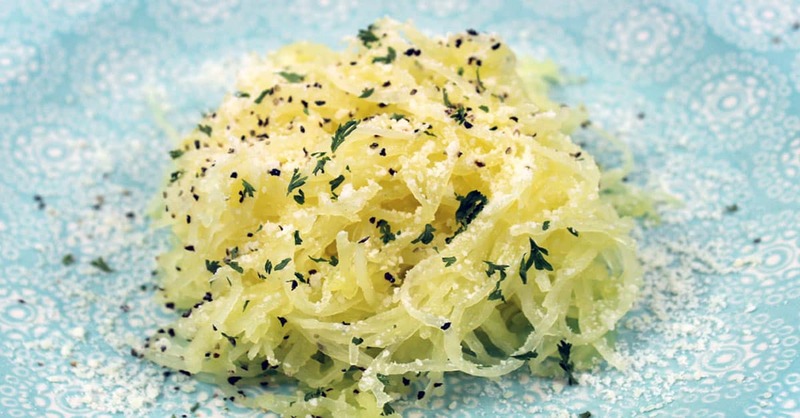 You can use spaghetti squash as a healthy alternative to pasta in pretty much any dish. I really like using it in my Keto Chicken Alfredo. But make no mistake, this a vegetable not a pasta. 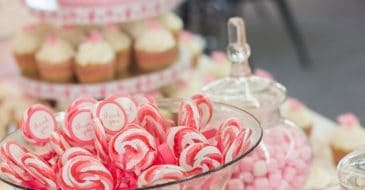 It’s ever so slightly sweet served plain, and adds an al dente texture to a dish. And because it’s not pasta, it works quite nicely as a side dish all by itself. I often serve it tossed in melted butter or olive oil, lightly seasoned with sea salt and coarsely ground black pepper, and sprinkled with Parmesan cheese and parsley. 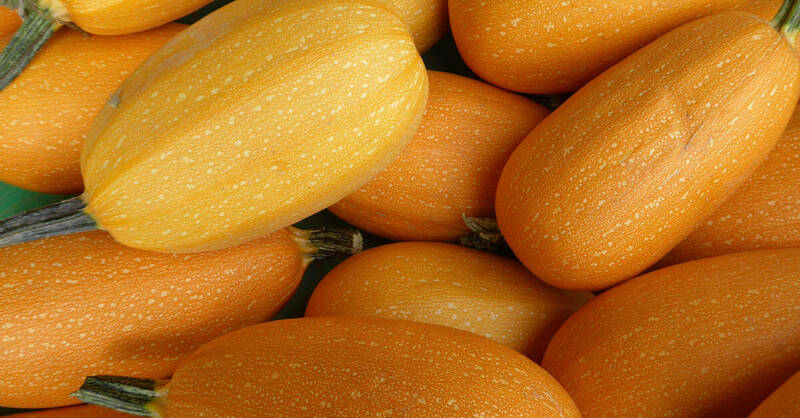 There are several ways that you can cook this squash. I’m going to teach you my 2 favorite ways. The easy way that takes about 30-45 minutes, and the easier way that takes 60-90 minutes. That sounds pretty easy right? And it is. Poke deep holes all the way around. You want to make sure to pierce it to the center so the steam can escape as it cooks. It has lots of water in it. Put on rimmed baking sheet. The rimmed sheet will catch any drips. Cut open longways. The “strands” run in circles around the inside of the squash. If you don’t cut them you will end up with one long strand. Which you will then have to cut. So make it easy on yourself and do it now. Scrape out seeds (and save them to roast). 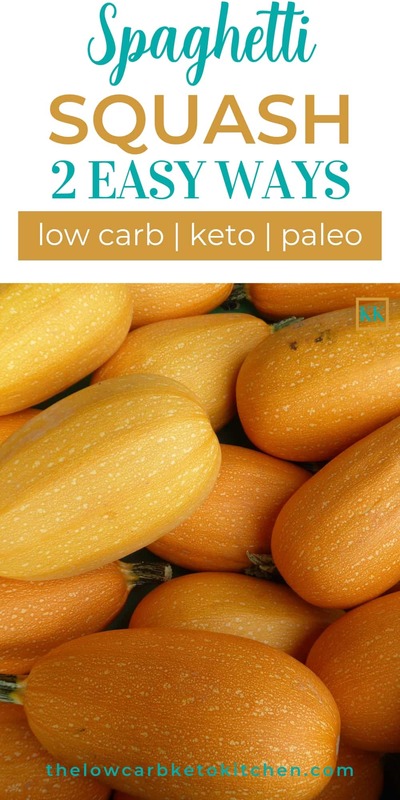 Roasted spaghetti squash seeds have a very similar nutrition profile to roasted pumpkin seeds. And they’re really good. You should give that a try. Scrape out insides. Take a fork and start “flaking” the strands away from the sides. Start in the middle and work your way out. You will be amazing at how much “spaghetti” you end up with. I always go with the easier way. Unless I forget to put it in the oven in time. 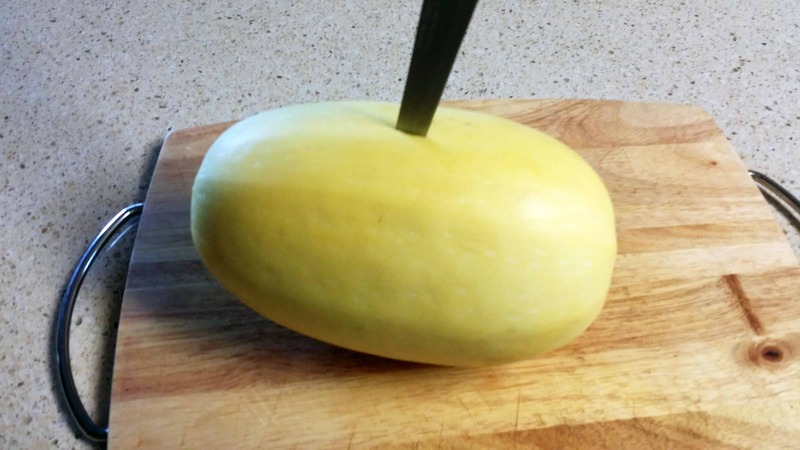 The reason it’s the “easier” way is because the spaghetti squash has a thick skin. And that skin is a lot easier to cut through after it’s cooked. And when you bake it cut side down it tends to get hard and stick where it’s touching the pan. Unless you put water in the pan. Which makes it soggy. I’m sure you could also cook one in the crockpot or instapot but I haven’t tried that yet. So there you have it. 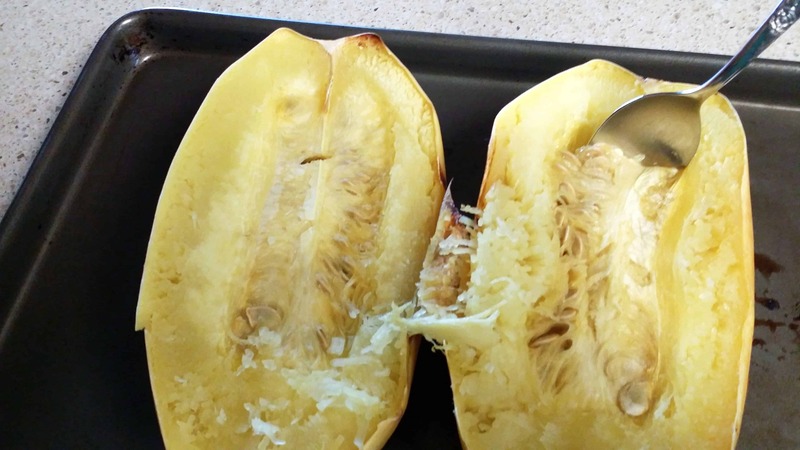 2 easy ways to cook a spaghetti squash. 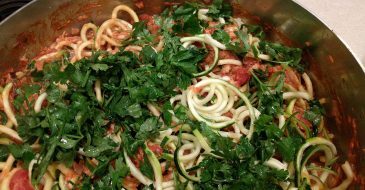 Served plain or as a substitute for spaghetti it adds a nutritional boost to any meal. 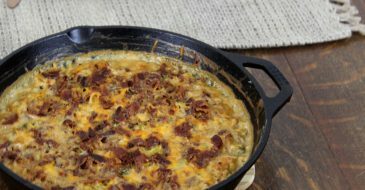 Peace, love, and low carb pasta! 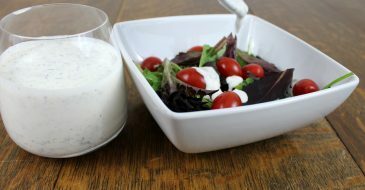 PS: If you are looking for more keto friendly foods, check out my Ultimate Keto Food List. 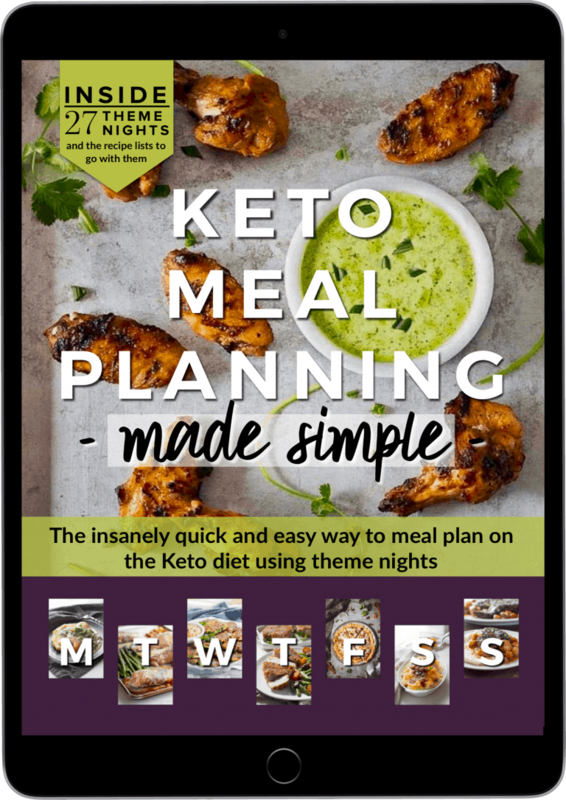 It has a printable list that you can take to the grocery store so you’ll always have plenty of food to keep you in ketosis!